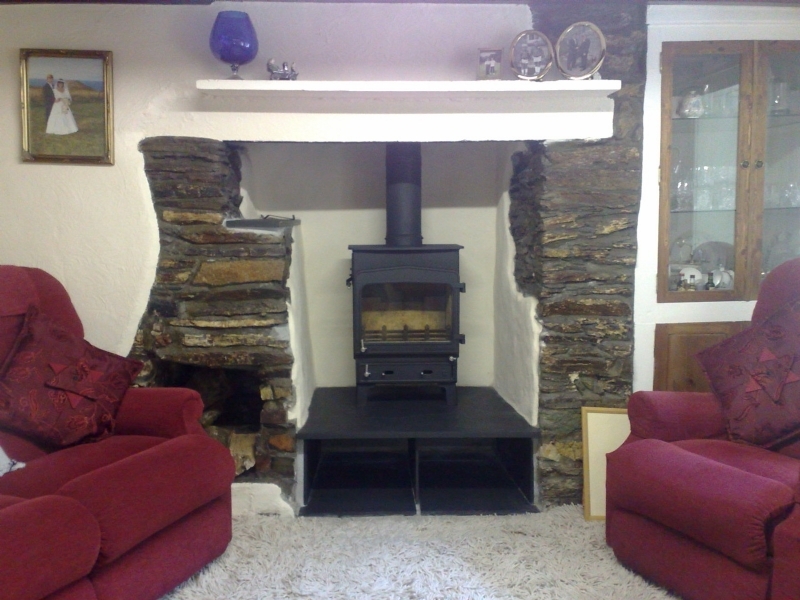 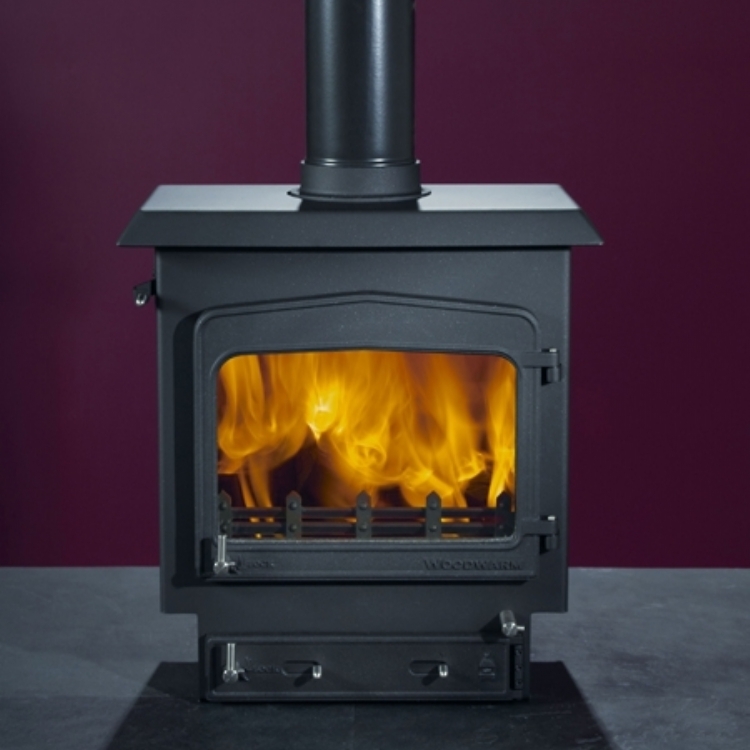 Woodwarm Fireview on a raised hearth wood burning stove installation from Kernow Fires. 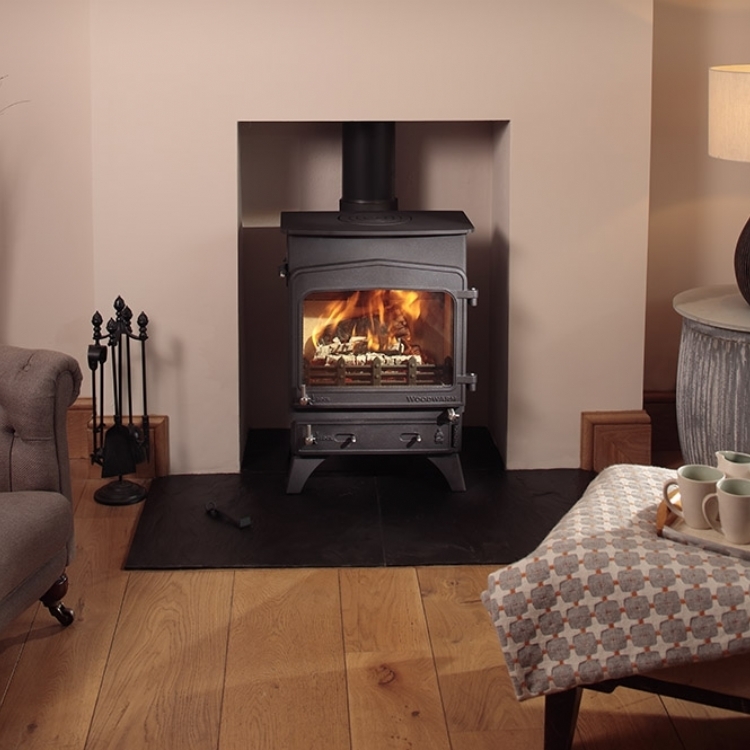 This lovely traditional fireplace needed bringing up to date with an efficient multi fuel stove. 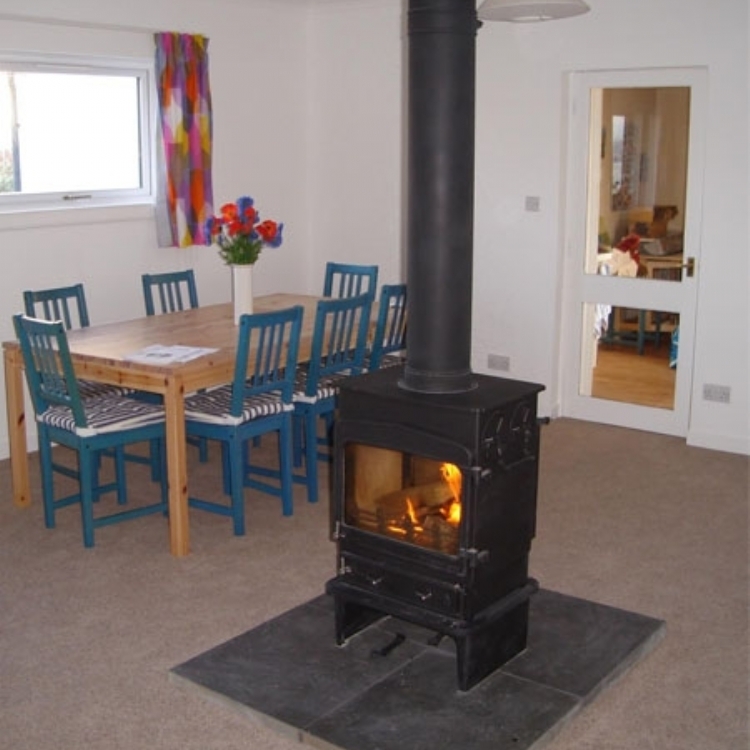 We made the hearth with honed slate so that there is now a neat space for logs.